I've been obsessing over Anthony Kiedis and Paul Newman these days as I WAIT in this hallway for Edges to be unleashed on the world. What do these two have in common? Music. Why am I obsessing? 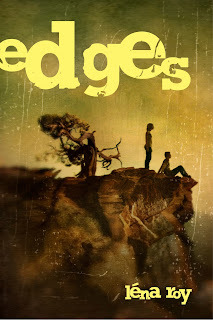 At this point Edges will sink or swim according to public opinion, and I know I have to let go. But I've been holding on for dear life, agonizing, agitated over how it's going to do out there in the big bad world. What else can I do while waiting for my book's debut? 1: I've come up with a plan to solicit author visits to schools and libraries (I'm already a teacher and a counselor - why not extend my passions to encompass a book so close to my heart?) by creating another page on my website. 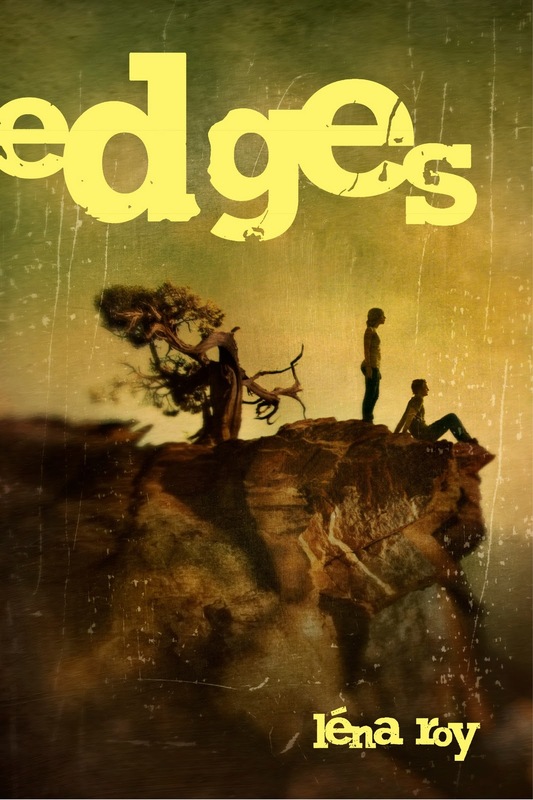 2: A couple of weeks ago when I got all fancy and created a Facebook page for Edges the question begged asking: what on earth could I post related to Edges besides it's own little news blurbs? So I started out posting photographs and a musical playlist - setting a mood. The first song I posted to the Edges FB page was Everlast's Put Your Lights On. This song never fails to make me think of Ava and her demons. Then came a whole slew: The Pixies, Coldplay, Sufjan Stevens, Pomplamoosse, Cake (go to FB for more!) . . . even my favorite actor Paul Newman, singing a song called Plastic Jesus in the movie Cool Hand Luke, which never fails to make me weepy. Anthony Kiedis singing Knock Me Down with the Red Hot Chili Peppers sends spastic chills through me. It is music that makes the WAITING fun, and I'm excited to let Luke and Ava guide me with their choices in music. Suggestions welcome! I love this, Lena! You have taken what could be a nail-biting, pacing the halls kind of time and used that energy instead to generate song and movement and fabulous ideas. You go! And I say your book has too many water wings to sink, so the butterfly stroke it is! Thank you darlin'! What will today's song be? Hmmmm . . .
Tudor designer watches are generally unusal, there is not any mistake in this. Manufactured by your well-known chanel replica, these kind of interesting designer watches are available in several spots nevertheless may be high-priced. Never allow price tag carry anyone rear via fake louis vuitton your Tudor. There are many involving distinct methods of men designer watches that you can buy. On this page we'll be researching a number of distinct replica chanel handbags which may have a new prosperous record inside enjoy entire world. Your designer watches that will we'll be speaking about are generally Many of us, Omega designer watches, Harry Winston designer watches, plus the ever before renowned Rolex enjoy. Were the 1st versions that will we'll be speaking about right now. Within the last few number of years, big cartier watches sale are getting to be your one most significant and quite a few common development inside manner sector. Big sun glasses don't stand for folks existing during the past; that they stand for in-style girls in the 21st one hundred year. The show biz industry stars get remarkably offered on the the latest acceptance of such 70's encouraged equipment. Numerous rolex replica uk get decided on to cover guiding your lens of such big support frames.